Maryhill is an area of the City of Glasgow in Scotland. Maryhill is a former burgh. 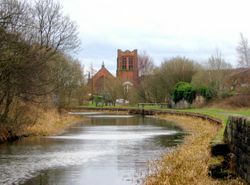 Maryhill stretches over 7 miles (11 km) along Maryhill Road. Several sub-districts belong to the Maryhill district, such as Acre, Botany, Dawsholm Park, Firhill, Gairbraid, Gilshochill, Maryhill Park, North Kelvinside, Queen's Cross, St George's Cross, Cadder, Summerston, Woodside and Wyndford. The Gorbals is an area in the city of Glasgow, Scotland, on the south bank of the River Clyde. 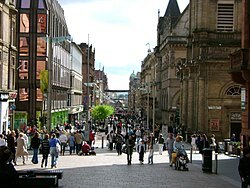 By the late 19th century, it had become densely populated; rural migrants and immigrants were attracted by the new industries and employment opportunities of Glasgow. At its peak, during the 1930s, the wider Gorbals district had swollen in population to an estimated 90,000 residents. Along with its relatively small size, this gave the area a very high population density of around 40,000/km². Redevelopment post WWII has taken many turns, and the area`s population is substantially smaller today. 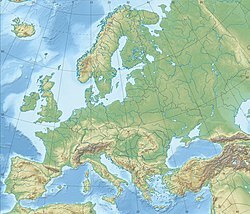 Rutherglen is a town in South Lanarkshire, Scotland. Having existed as a Lanarkshire burgh in its own right for more than 800 years, in 1975 it lost its own local council and administratively became a component of the City of Glasgow District Council within the Strathclyde region. In 1996 Rutherglen was reallocated to the South Lanarkshire council area. 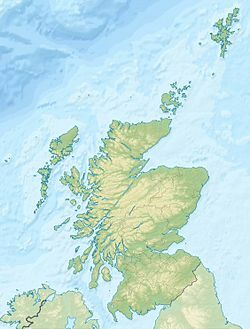 Greenock is a town and administrative centre in the Inverclyde council area in Scotland and a former burgh within the historic county of Renfrewshire, located in the west central Lowlands of Scotland. It forms part of a contiguous urban area with Gourock to the west and Port Glasgow to the east. Pollokshields is an area in the Southside of Glasgow, Scotland. It is a conservation area which was developed in Victorian times according to a plan promoted by the original landowners, the Stirling-Maxwells of Pollok, whose association with the area goes as far back as 1270. 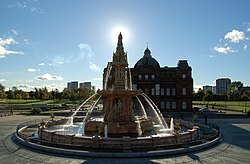 Shawlands is an area of Glasgow, Scotland located less than 2 miles south of the River Clyde. The area has an approximate population of 7015 people, with over 82% dwelling in flats, 74% owner occupied and 79% living alone or with one other person. Neighbouring districts include the areas of Crossmyloof, Strathbungo, Langside, Newlands, and Pollokshaws with Shawlands itself overlapping the Glasgow City Ward map areas 6 (Pollokshields) and 7 (Langside) The area consists mainly of tenement flats but also includes two-storey terraced cottages and a small number of detached and semi-detached houses. Tenements remain the most common form of dwelling in the city today. Anderston is an area of Glasgow, Scotland. It is on the north bank of the River Clyde and forms the south western edge of the city centre. 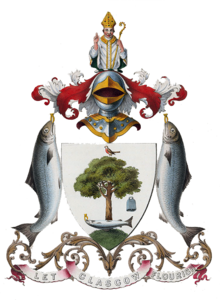 It was an independent burgh of barony from 1824 until it was incorporated into the City of Glasgow in 1846. Queen's Park is a park situated on the south side of the city of Glasgow, Scotland. The 60-hectare (150-acre) park lies about 2 1⁄2 miles (4 km) south of the city centre, and gives its name to an adjacent residential district, and the football team Queen's Park F.C. Glasgow Central is a constituency of the House of Commons of the Parliament of the United Kingdom. 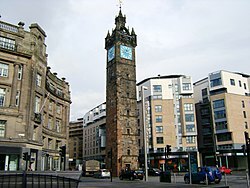 In its current form, the constituency was first used at the 2005 general election, but there was also a Glasgow Central constituency that existed from 1885-1997. The sitting MP is Alison Thewliss of the Scottish National Party, who was first elected in May 2015. 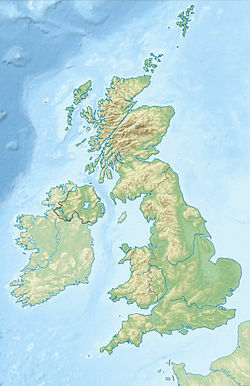 This constituency was also the former seat of the former Conservative Prime Minister Andrew Bonar Law; who was the shortest-serving UK Prime Minister of the twentieth century. 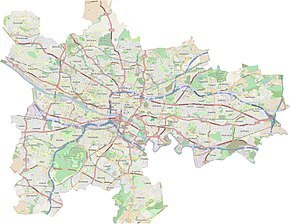 Braidfauld was the 45th ward in the City of Glasgow, Scotland, prior to the re-organization into multi-member wards. It is bounded on the south by the River Clyde and on the north by (mostly) Tollcross Road. Its western boundary is the west wall of the old Belvidere Hospital carried on roughly northeastwards to Tollcross Road, and its eastern boundary is Causewayside Street. Braidfauld is a slightly artificial creation and few residents would recognise it as other than a sub-district of their area, feeling more affinity with neighbouring areas such as Barrowfield, Parkhead and Tollcross. Wellhouse is a residential neighbourhood in the East End of the Scottish city of Glasgow. Since 2007 it has been part of the Baillieston administrative ward within the Glasgow City Council area. Easthall is a residential neighbourhood in the East End of the Scottish city of Glasgow. Since 2007 it has been part of the Baillieston administrative ward within the Glasgow City Council area.